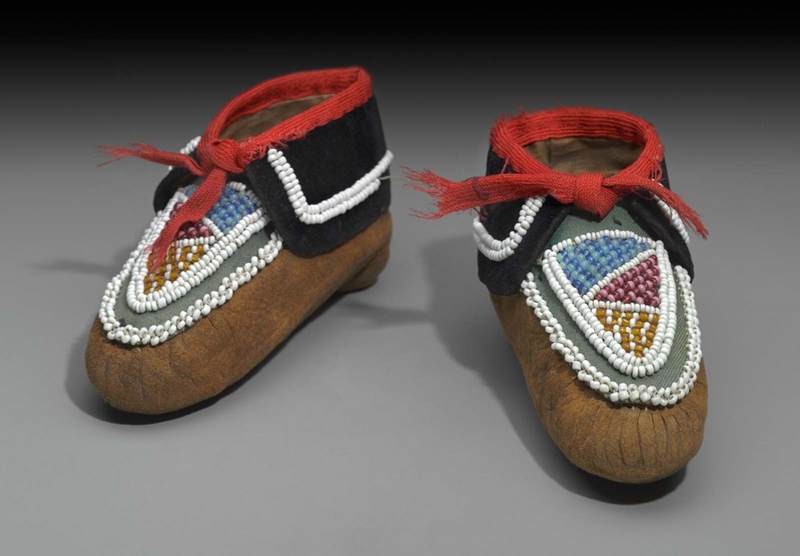 Pair of child’s moccasins. Brown buckskin with black velvet around ankles with red cotton trim. Vamp decorated with blue, pink, orange and white beads.